The Al Fahidi Historical Neighbourhood, previously known as Al Bastakiya, is one of the coolest areas to explore in Dubai – especially during Sikka Art Fair! From art galleries to quirky cafes, here are 5 super cool things to check out while you’re there.. While walking through the narrow lanes of Al Bastakiya, you will find lots of great art galleries worth checking out. 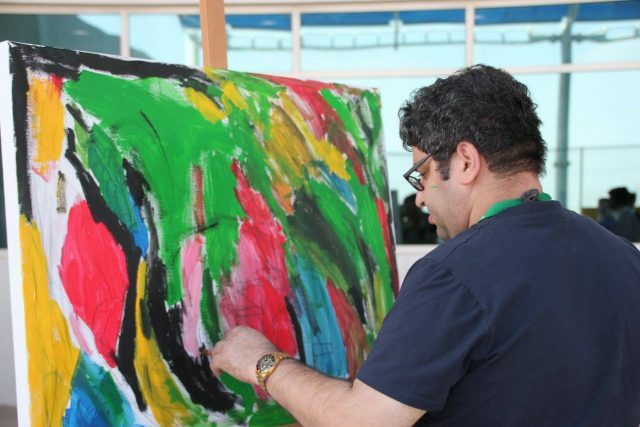 One of our favourites is Mawaheb Art Studio, where you can check out some really cool art pieces created by people of determination. If you’re looking for somewhere to grab a bite, the traditional Arabic food at the Arabian Tea House Cafe is delishhh. 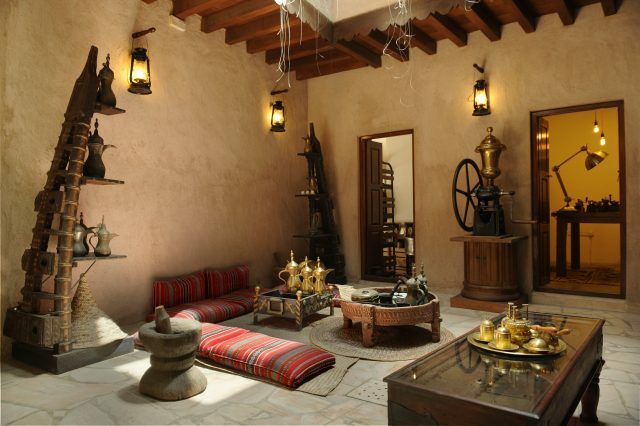 Did you know that the restaurant was designed to recreate the Emirati way of life back in the day? 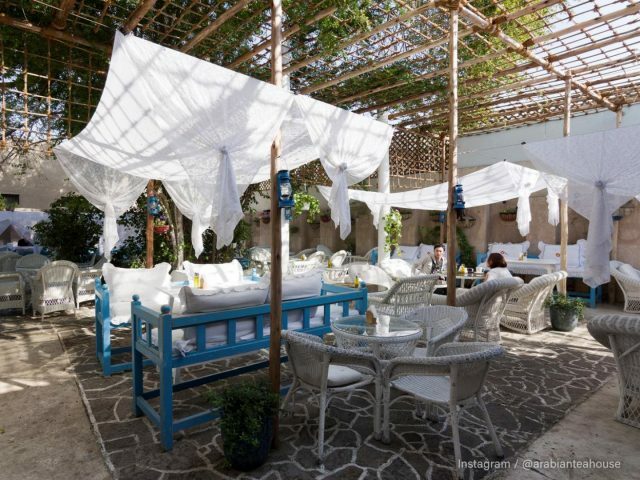 Don’t leave without trying the hummus, falafel, shawarmas and of course, some Moroccan Tea. Fancy brushing up on your knowledge about Dubai’s culture and customs? The SMCCU is a great place to learn more about the city we live in and its people. They also offer cultural breakfast and lunches, where you can enjoy a meal while chatting to locals, and heritage tours of the Al Fahidi District. Yes, Dubai actually has an entire museum dedicated to coffee. The Coffee Museum shows the origins of coffee, the various roasting and brewing methods from different countries and more! Caffeine lovers can enjoy a cup of coffee in the museum’s cozy lounge after. 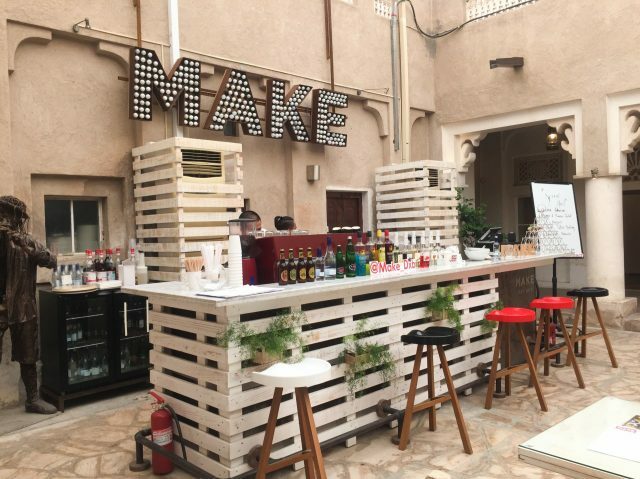 If you love art, you need to visit Make Art Cafe in Al Bastakiya! Each section of this hidden gem cafe is decorated with artworks based on a different theme, and to top it off, there’s a reading corner on the rooftop! Although you can visit any of the above-mentioned places any time of the year, the best time to head to Al Fahidi Historical Neighbourhood is during the annual Sikka Art Fair! This is when the entire Al Bastakiya area comes to life with live music, workshops, installations, art exhibitions, film screenings and more! 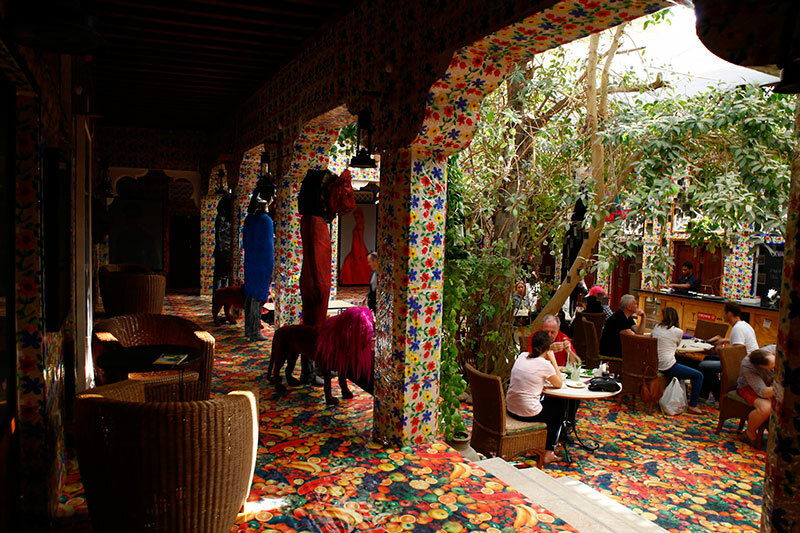 This year, Sikka Art Fair takes place from Saturday March 17th to Monday March 26th. Read more: Check out these affordable sightseeing tours in Dubai, or visit our Explore section for more inspo.